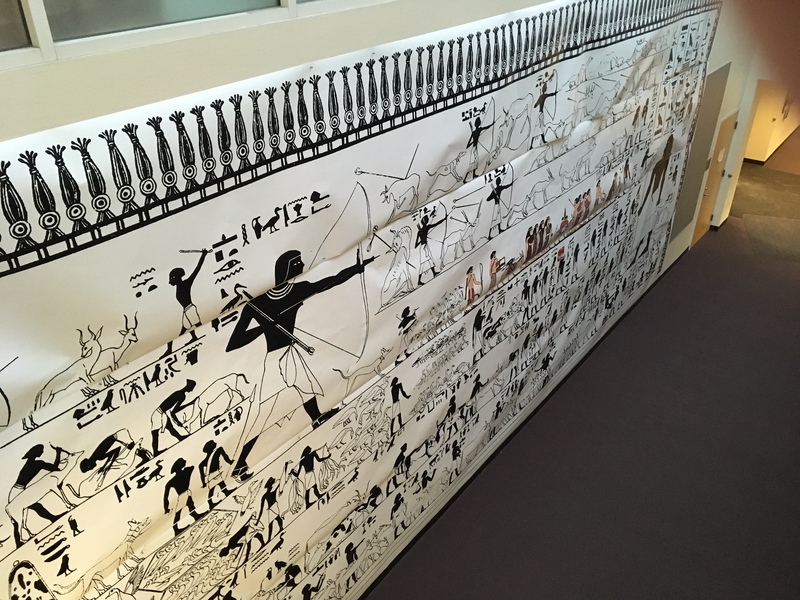 Dr. Orel’s Egyptian Art class has installed a full-size copy of the wall from a tomb at Beni Hasan in Middle Egypt. The tomb dates from about 4000 years ago, and belonged to a provincial governor. The artwork was recorded by English Egyptologists in the late 1880s, and was published at a small scale. Fine Arts Design took the line drawing and blew it up again to the real size so students can experience the art at its original scale rather than shrunk down to fit in a publication. The “wall” will be on display until Friday afternoon, September 11th.